Congratulations! You’ve just become engaged! Now, it’s time to plan the biggest celebration of your life. 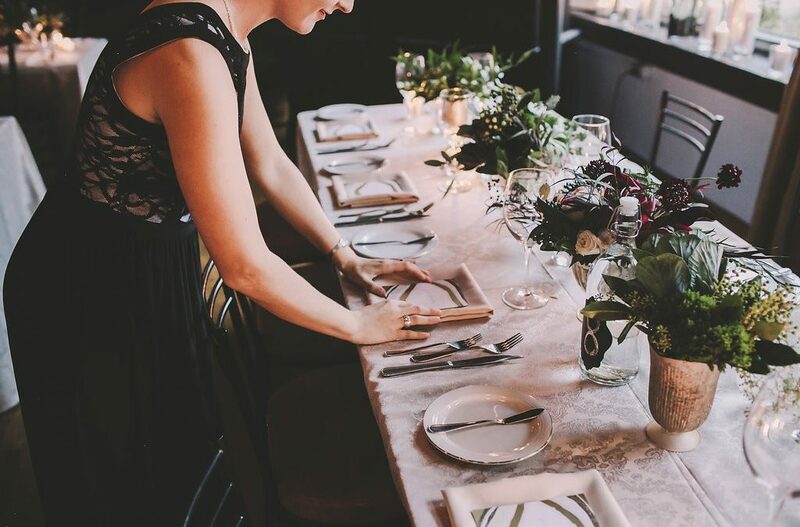 If you’re dreaming of a wedding in Australia’s major cities and outlying areas, you might want to consider these five reasons why a professional wedding planner will help smooth the way to a fabulous, stress-free wedding day. Here are 5 Reasons Why You Need a Professional Wedding Planner. Yes, you read that right. If you enlist the help of an experienced, reputable wedding planner, you’re less likely to make costly mistakes down the road. Her experience can help you decide how much food and wine to order from caterers, how many hours you’ll need for your wedding entertainment and other details that can shave precious dollars from your list of expenses and help pay for her fees. Another way she helps pay for her own services is by forging alliances with the best vendors in her area. Many wedding vendors, including wedding band booking agencies, venues, and wedding photographers, offer discounts when they’re booked through an established wedding planner. Everybody wins: vendors save on marketing costs and get to work with a planner who will make their jobs easier. Wedding planning firms get priority access to trusted, high-caliber wedding bands, wedding singers, caterers, videographers, and photographers for their clients, often with exclusive packages and pricing. Wedding planners forge their careers on developing reliable relationships among the best wedding vendors. They know which videographers specialize in high-energy weddings with lots of dancing and music, and which photographers are most suited to create that special “look” you want for your wedding album. Some wedding venues insist that brides work with a preferred planner who is familiar with the rules of their facilities. Some popular wedding venues even insist that brides work with a preferred planner who is familiar with the rules of their facilities. Your wedding planner will know how late—and how loudly—the wedding band can play, what types of decorations are allowed, and even fine details such as where wedding bands can set up their stage and equipment. Wedding planners and consultants have been there and seen it all. Their ability to predict problems in the planning process and on the day of the event, and resolve issues before they become disasters, makes them worth their weight in gold. They know to check with the venue the day before the event to make sure the previous event’s vendors have cleared out, and when to follow up with the caterers to confirm menu selections haven’t been changed due to supply issues. Your wedding planner will ensure your florists don’t send the wrong bouquets to the wrong “getting ready” location, and if the wedding singer comes up with a cold, they’ll work with the booking agency to get a replacement. Professional wedding coordinators free you, your friends and your family from the worry of making your day run smoothly. You don’t need vendors checking with you at every turn with questions or the inevitable issues that surface at weddings. Do you need your guests gathered around and the dance floor cleared so you and your groom dance to your favorite song? Who will “herd cats” and let your wedding entertainment know when the time is right? Are you planning an elaborate, dramatic send-off? Your wedding planner will coordinate with your photographer, videographer and assistants to make sure your guests have the right props, are properly lined up at the exit, and that your getaway vehicle is on the mark. Avoid relying on friends and family to direct guests and coordinate complex moments during your day. You want them to have fun, and not take on a “policing” role, something that’s often awkward among peers. Wedding planners have experience getting everyone in place for grand moments such as bouquet tosses, cake cutting, and toasts, and know when to prompt the wedding MC or band to make important announcements. When you have a wedding planner on-site for your wedding day, you’re free to enjoy the day as it unfolds, while she runs interference and keeps things on track. Event vendors must maintain their reputations to thrive in the wedding industry, and good reviews and pride in their work drive their success. In the end, however, well-known wedding planners can make or break a career. If you experience an issue with a wedding photographer, caterer, wedding singers or another vendor, your wedding consultant will go to bat for you and get the issue resolved. You’ve dreamed of this day your entire life, and you want your day to match your fantasies. Whether you bring a professional planner on board or handpick your own wedding vendors, be sure to go with those whose reputation and services assure you of a stress-free, fun-filled wedding that reflects your personality and style. Take the guesswork out of booking your wedding band or singer. Lily Road provides the best wedding entertainment in the Sydney and Melbourne metropolitan areas. We are trusted by top wedding consultants and scores of happy brides who can attest to our professionalism and talented entertainers. We’ll work directly with you or your chosen coordinator to ensure you focus on enjoying your day, while we help make the memories.